Turkish military expert and a member of the left-wing nationalist Vatan Party (Patriotic Party), retired Major General Beyazıt Karataş said in an interview with Russian Sputnik News that Turkey can withdraw from NATO without any concerns now that the Russian leader Vladimir Putin showed off his country's nuclear capabilities. Putin threatened the Western countries with a new generation of nuclear weapons on his March 1st State of the Nation address, including what he described as an “invincible intercontinental cruise missile" that could outsmart all American defences. During the speech, he showed an animated video of an attack to Florida, where President Donald Trump's "Winter Whitehouse," Mar-a-Lago is located. Another signal came from a Russian lawmaker, according to Karataş, Alexander Sherin who, as reported by Sputnik, signalled Russia's readiness to stand up for its allies. "Moscow underscores that Turkey can calmly withdraw from NATO, and after doing so Ankara will have guarantees that it will not face any threat regarding ensuring its security," Karataş told Sputnik. Explaining that if any country, mainly the USA stages a nuclear attack from Turkey to a third country, Russia's guarantee would protect it from becoming a nuclear target. 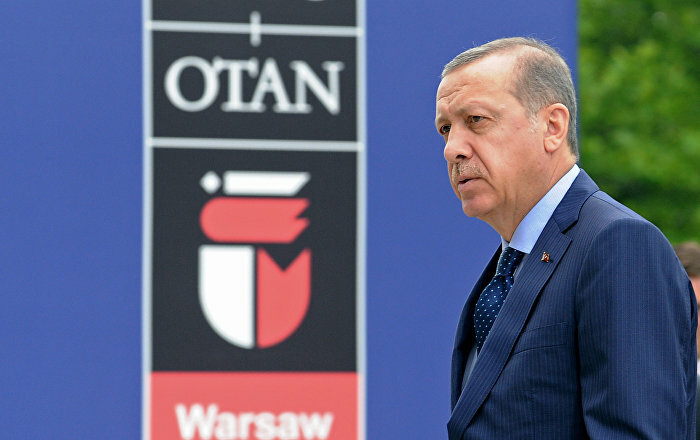 However, "Russia's recent statements, on the one hand, offered Turkey a protection system which is alternative to NATO's nuclear deterrence, and, on the other – the statements sent a certain message to NATO and the US via Turkey," he said. Commenting on President Putin recently touting advanced Russian weapons and lawmaker Alexander Sherin signaling Moscow's readiness to stand up for its partners, including Ankara, Turkish military expert Beyazit Karatas told Sputnik that these statements indicate that Ankara does not need NATO's deterrence systems.